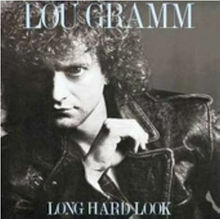 Rochester native Lou Gramm has had an eventful career to say the least. His band Black Sheep have the distinction of being first American band to be signed to Chrysalis Records. Then he had a long prosperous stint as lead singer in Foreigner and a successful solo career. 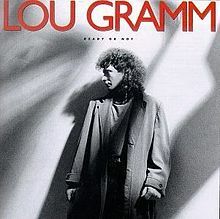 Then in 1991 he released a new project with Def Leppard’s Vivian Campbell entitled Shadow King. We had the chance to talk to Lou and find out what he’s been up to leading to his show at The Bears Den on April 6 at Seneca Niagara Casino. Rock Show Critique: Lou can you update us on what you are currently up to? 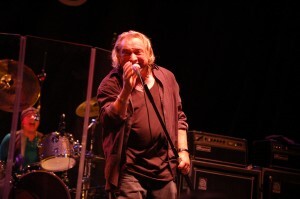 Lou Gramm: Just touring with my band and just starting to work on some songs for a possible album release for the end of the year. 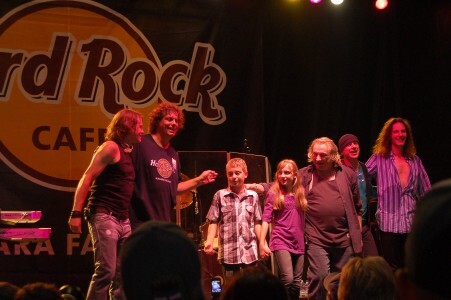 RSC: How did the Jingle Bell Rock tour that featured yourself along with Eddie Money and Mickey Thomas go? LG: It was a lot of fun we had mostly full houses and rocked them hard. It was a lot of fun between the three of us. The last three shows I couldn’t do because I came down with laryngitis. Other than that we had a lot of fun and I’d love to do it again. RSC: How many shows did you end up playing? LG: I think it was possibly twenty shows. We used Eddie’s band for everybody. They are really good players and fun guys to hang out with too. We came out individually and did some of our own things. Then we did the xmas songs together. LG: Don Mancuso on guitar, Andy Knoll on keyboards, Ben Gramm on drums and AD Zimmer on bass. RSC: Do you still talk to Bruce Turgon? LG: Not really I haven’t spoken to Bruce in must be about boy seven years. RSC: I know you guys go back a long time. LG: We did but we had a major falling out seven years ago. RSC: There are several great songs such as “Break It Up” and “That Was Yesterday” that you do not perform much these days. Do you try and add in different songs frequently? LG: Yeah we do. We try and structure the set so there is enough up tempo and mid-tempo songs and occasionally we throw in a ballad. If we start loading the set up with mid-tempo songs we notice the audience gets a little restless. We filter those songs in and filter them out again you know. RSC: “The Word Gets Around” was a song you played live and it was announced that it was to be on your next record after Ready Or Not but never showed up on Long Hard Look. Was it ever recorded? What’s the story behind it? LG: It was recorded and what we had was very good, but when we listened to it sounded like it needed another section. It was beginning to sound a little bit repetitive it had a verse and a chorus we were trying to find a bridge section for it. We stayed up nights trying to work on it and we just couldn’t come up with anything that didn’t sound forced. And we decided rather than force the section of the song we rather let it sit there till something came to us. RSC: And you still haven’t touched it to this day? LG: We pull it out every now and then but it may be just one of those songs that may never get finished especially now that Bruce and I are not friends anymore. RSC: You were scheduled to play at Shea’s Theater in Buffalo with Patty Smyth back in 87’ but the show was cancelled. What happened to the Ready Or Not Tour? LG: The Ready Or Not tour ended up being good. We did a number of shows with Steve Miller and we realized that we couldn’t go out even headlining small theaters at that point. There wasn’t enough call for it. We got ourselves put in a special guest situation where there’d be an opening act, then us, then Steve Miller. We found out that not only did the audiences pick up but even though they were there to see Steve, they enjoyed our music too. So come to learn we needed a situation where there was already somebody that we knew would draw. Obviously between Patty and I we didn’t sell enough tickets to do the show. RSC: Did you do a lot of touring behind Long Hard Look as well? LG: Yeah. We did some touring at a certain point I got back together with Foreigner and we started putting together The Best and Beyond. RSC: Did you realize when you did the Foreigner/Bad Company tour in 2002, that it would pretty much be your last in the states with the Foreigner? LG: Had no idea to tell you the truth. But you know things happened that surprised the heck out of me. Just for my own health reasons and its very difficult to get into. I could tell myself that this was the last roundup. It was later that year Mick’s health was starting to fail. That ended up being more or less what put the lid on the band so to speak. He got a whole new bunch of people and called it Foreigner. He’s actually not on the road with them, hasn’t been for almost a year now. They’ve been going out with another guitar player so there’s all different people and they call themselves Foreigner. RSC: How do they get away with that? LG: I don’t know. By and large audiences are not informed. Even when he’s in its just one member of Foreigner and a bunch of other musicians. But now he’s not in the best of health. He’s had a major operation that calls for him to rest and be off the road for a good long time. They still have show obligations so they go out with another guitar player and there’s nobody from the original band, nobody from any different variations of the band. And young crowds that go there are uninformed and they don’t care. It’s a situation that is really difficult to see going on but I’m powerless to do anything about it. RSC: As far as your concerned do you ever foresee a kind of reunion with anyone from Foreigner. LG: Even if I got together with some of the other guys who were in Foreigner, we couldn’t call it Foreigner. I feel like doing that would be nostalgia. Then you put yourself in the nostalgia situation and that’s kinda like the death knell. That’s your last gasp before you hang it up all together. RSC: Do you ever talk to any of the other guys that were from the original version of Foreigner? LG: I do. I speak to Al Greenwood the keyboard player. I speak to Ian McDonald and I speak to Dennis Elliott. RSC: What is Dennis up to these days? LG: Dennis doesn’t really play anymore. He has woodworking skills and he wins awards at art shows. He has another career going. And Al is the head procurer at the Manhattan Museum of History. At some point if you played little clubs coming up and achieved success and you go back to them after, its not satisfying. RSC: Flashback to May 14, 1988, and tell us what was it like playing at the Atlantic Records 40th Anniversary concert? There were so many stars, bands and artists there, what was it like? LG: It was awesome. I met people that i’d heard about but never met, never thought I would meet them. But this reunion allowed people from different eras to get together, it was incredible . As a matter of fact we did “I Want To Know What Love Is” and we didn’t have a choir. We usually would have someone who would get a good church choir together for us and join us on stage. But we didn’t have a choir and I’m singing and all of a sudden I hear all these other voices behind me singing along with me. I turn around and it was Phil Collins and this one and that one and Jimmy Page. The choir was all the other stars from the Atlantic Records group. RSC: It’s a shame things like that do not happen much these days. Of course a lot of record companies downsized and closed. LG: You got that right. Atlantic used to have four or five floors at a huge building in Manhattan. I think they have one floor now and even that’s half empty. It’s just a different time now. I’m not crazy about it myself. I like they way it used to be. I accept that there is always change going on and you have to roll with it. 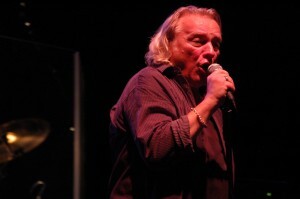 Special Thanks to Brendan Bourke, Tony Astran and Lou Gramm for all their help in making this interview possible.